Shamrock Paving offers some of the most affordable rates on residential sealcoating services in Rochester NY and the surrounding region. We’re one of the area’s most experienced paving companies, and staff a team of experts who work hard to ensure perfection on every job. 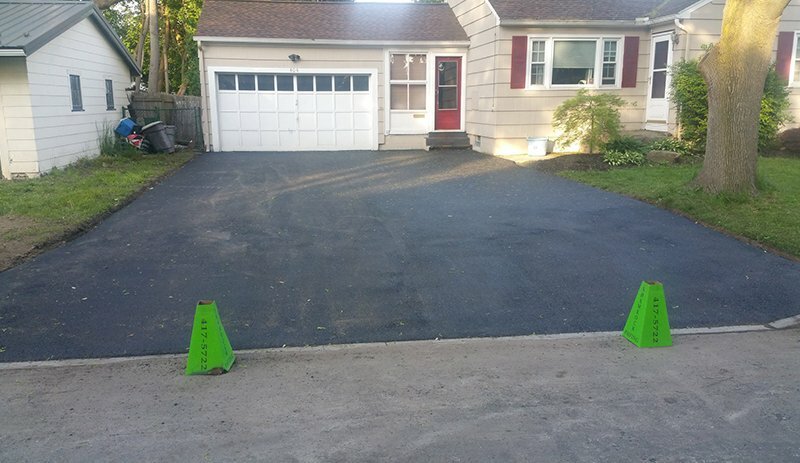 Whether you’re new to the Rochester & surrounding areas and looking to make sense of that ugly asphalt, or a long time resident in need of an annual driveway sealcoating, here are a few reasons to call the experts at Shamrock. There’s no shortage of professional asphalt sealcoat companies in our area, and we appreciate the fact that you have a choice. Not all, however, can match our three decades of professional experience, leading edge equipment, or commitment to flawless paving applications. We invite you to learn more about Shamrock and see why we’re one of the most trusted and well-reviewed residential paving companies in Rochester. To speak with one of our staff for rates, scheduling or to start a free estimate, call Shamrock Paving today at 585-417-5722 or write to us through our website’s contact page. To learn more about why Shamrock Paving is a company you can trust, or to start a free estimate on your upcoming pavement or asphalt project, give us a call at 585-417-5722 and we’ll be glad to help however we can. © 2019 by Shamrock Paving.